Home » General » Welcome, 2015-2016 Shinnyo Fellows! This past week, Shinnyo-en Foundation welcomed our 2015-16 Shinnyo Fellows! Shinnyo Fellows range from undergraduate to doctoral students who are recruited and selected by the Foundation’s four partner universities or organizations. 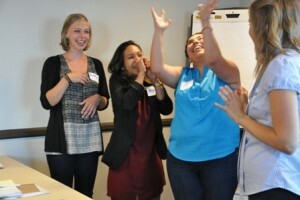 Each partner awards year-long Shinnyo Fellowships in unique ways depending on how their programs have developed over the years to tailor to the strength of students and their universities. A common aspect of all programs is an equal emphasis on a Fellow’s growth and transformation through service and the positive community impact their work will have. Fellows channeling their spirit animals during Orientation. The Foundation held a one-day Orientation for the Fellows on August 13th, giving everyone a chance to get to know each other and learn more about how their passion for peace and justice is aligned with the Foundation’s Infinite Paths to Peace initiative. This led up to our 2-day Annual Retreat, which was held for the 16th time this year at the Marconi Conference Center, Marshall CA. The Retreat is an intergenerational space for our grantees and the youth they work with to connect, learn from and inspire each other. 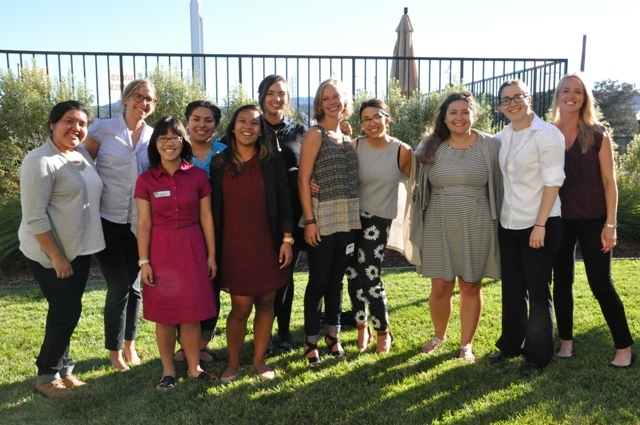 It provides an opportunity for the Shinnyo Fellows to share their aspirations for the year ahead with the support of practitioners in the field, and set the tone for their fellowship. We are pleased to share with you this wonderful group of passionate and thoughtful individuals! Please read on to learn more about this year’s Shinnyo Fellows! Carrie Hutnick is a doctoral student in the Public Sociology program at Mason with focused research and teaching in correctional facilities on mass incarceration and restorative justice. She began working in community based learning in her undergraduate degree in Public and Community Service Studies at Providence College, and has since supported college students as they engage in community settings while learning about justice issues, social action and kinship. She hopes to find and foster opportunities for undergraduate students and community members to learn about theories and experiences of inequality alongside one another, developing shared understanding of one another and the knowledge and skills necessary to effectively work for social change. She is excited to work with Kelly, her partner Shinnyo Fellow at Mason, to develop these opportunities in a more sustained way. 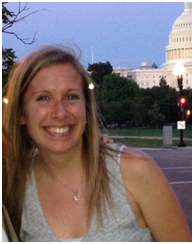 Kelly Dalton is a doctoral student at Mason specializing in international education, with a focus on nutrition and public health. Her research is focused on culturally immersive experiences and transformative learning. Kelly is the program coordinator for the Alternative Break program where she fosters strong community partnerships in both domestic and international settings and designs service-learning trips for students. She also teaches undergraduate courses on leadership and community engagement. Prior to starting the doctoral program, she was an Extension Specialist for the University of the District of Columbia. She developed and implemented nutrition curriculum for at-risk youth and early childhood classrooms. Kelly was also an adjunct professor in the Global and Community Health department at Mason and the Malek School for Health Professions at Marymount University. Kelly is a registered dietitian holding a B.S. in Human Nutrition, Foods and Exercise and a M.S. in Nutrition Education and Behavior, from Virginia Tech. 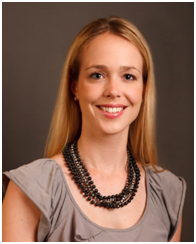 She is the owner and CEO of Capital Wellness Solutions and in 2012, was awarded the Virginia Dietetic Association-Young Dietitian of the Year. 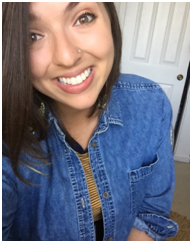 Alyssa Garcia is a senior at SU studying Public Affairs, International Economic Development, and Pre-Law. Originally from the sunshine of Honolulu, HI, she has found that Seattle has introduced her not only to rain, but also to the importance of social justice. Alyssa has worked with the Center for Service and Community Engagement for the past three years. She has been involved with the Jumpstart program, teaching literacy skills at low-income preschool classrooms, has served as a tutor at Washington Middle School, and as an advocacy leader on the Student Leaders for Education Equity group. She has also interned with InterIm CDA to co-facilitate an environmental leadership program for Asian and Pacific Islander (API) youth from Seattle’s International District. Alyssa has a deep passion for service and working to counter social injustices, especially issues that affect marginalized communities of color. She has a particular interest in issues like immigration and education equity facing the API community. She hopes that she can continue growing to better serve others and work for change. Gabby Goeglein is a senior, double majoring in Humanities for Teaching and Spanish. Since serving at Bailey Gatzert Elementary her freshman year, she has been fascinated by engaging with youth. She has since volunteered at various elementary schools, worked with the YMCA, facilitated a Youth Initiative Seminar, interned at Washington Middle School, and has recently returned from amazing youth-led conversations about leadership in rural Nicaragua. Gabby has likewise discovered a love for the beautiful landscapes of the Pacific Northwest as well as an interest in exploring her kitchen. She is looking forward to utilizing her time with Shinnyo-en Foundation, integrating her interest in learning languages, her excitement about alternative education, and her belief in the transformative power of youth. 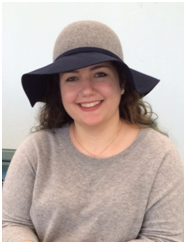 Hailee Johnson is a senior Interdisciplinary Liberal Studies student at SU. She is also a double minor in Women & Gender Studies and Psychology. Hailee was born and raised in Duvall/Carnation, WA and enjoys hiking and kayaking! Her future plans include going to graduate school to obtain a Masters in Teaching so that she can pursue her dream of becoming an elementary school teacher. 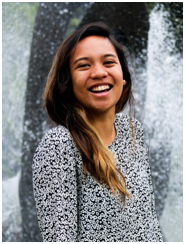 At SU, she has volunteered with the Youth Initiative as a student leader in K-12 education within the Seattle School District. Other than education equity, Hailee’s passions include youth incarceration and Deaf culture. She has volunteered as a mentor in the King County Juvenile Detention Facility and worked for two years within Seattle’s Deaf community as an ASL translator. In the future she hopes that she can mesh her passions together and become a teacher for the Deaf. This summer, she will be moving to Walla Walla, WA to work as a Youth Literacy Coordinator for the YMCA, specifically working with migrant populations and their children on summer reading and writing skills. She feels so blessed to have had all of these wonderful opportunities in life and she cannot wait to see what the future holds. Kelly Mercade is a senior at SU studying Business Economics. Since her first year at SU, Kelly has been involved with the Center for Service and Community Engagement (CSCE). Through being a tutor for the Youth Initiative, participating in the Youth Initiative Leadership Seminar, and acting as a peer educator for other tutors, she has had the opportunity to grow and develop how she approaches service. In addition to working with the CSCE, Kelly is the president of Seattle University Rotaract, a part of Rotary. Due to Rotaract and the CSCE, Kelly has been able to experience different forms of service that have different focuses. She hopes to be able to combine her love of business with her love of service. She also loves traveling, dancing, and cats! 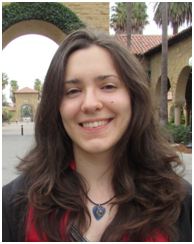 Carolina Ornelas recently graduated from Stanford University with a B.A. in Human Biology, concentrating in Health Disparities in Gender and Ethnicity. Her prior experiences include volunteering at Pacific Free Clinic as a Spanish interpreter, implementing a research project on HPV vaccinations in MayView Community Health Center, and promoting student wellness as a Peer Health Educator and HIV counselor. Passionate about health equity, Carolina aspires to be a physician for underserved communities. 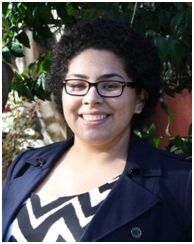 Carolina hopes to bring her commitment to health and wellness as well as her energy to Redwood City 2020 and The John W. Gardner Center to ensure that Redwood City is a place where youth and their families can thrive in all areas of their life. 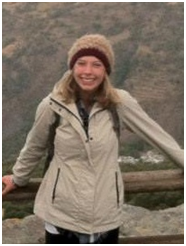 Emily Droge became a member of the Alternative Breaks program at UCB’s Public Service Center in the Fall of 2013 as a participant on the Food Justice Spring Break Trip, and over the course of two years she has moved up the ladder from participant to break leader to her current position as Communications Director for Alternative Breaks and a Bonner Leader for the Public Service Center. Emily is responsible for sharing the unique aspects of the Alternative Breaks program with all students on campus and alumni by creating recruitment strategies that appeal to the masses and working with her peers to create a newsletter that explains what the program is and how participants are impacted by it. Emily is studying Nutritional Science and Global Poverty and Practice at UCB, and is planning to graduate in the Spring of 2016. She is very passionate about Food Justice and the intersections between that and other social justice issues. She has volunteered with the Berkeley Student Food Collective for two years, taught nutrition courses at a local middles school, and is currently interning with HOPE Collaborative in Oakland as she dreams of creating community gardens in every neighborhood to combat the issue of food insecurity. 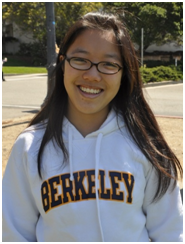 Peggy Hsieh is a UCB junior with an intended public health major. She was born in Taiwan, but lived in Canada before moving to the United States as a child. Currently, she is the Resource Director of Internships and Service for the Alternative Breaks program at UCB’s Public Service Center. Her main responsibilities include writing grants, fundraising and organizing, managing trip and program budgets, and obtaining in-kind donations. In addition, she guides the break leader team on trip finances and creating safe, fun, meaningful trips as a whole. Previously, Peggy was a freshman participant on the Homelessness and Poverty Trip. As a sophomore, she co-taught a class and co-led a spring break service trip that focused on the criminalization of the homeless in Sacramento and the Bay Area. In addition to Alternative Breaks, Peggy is a dedicated member of Berkeley Tzu Ching club and participates in undergraduate research on bio-cultural diversity for community gardens in the East Bay. 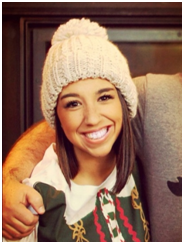 Alejandra Lopez is a senior at UCB pursuing a B.A. in Sociology and Social Welfare. She is from Huron, CA, a predominantly rural low-income farm working community in southwest Fresno County. As the daughter of farmworkers, Alejandra knows firsthand of the harsh realities that farmworkers and their children face. Her experiences have prompted her to be involved with the Alternative Breaks program at UCB’s Public Service Center as a participant, break leader, and now as the Community Partnerships Director. Through this role, Alejandra will guide and mentor 24 break leaders to successfully teach a seminar and lead a week-long service-learning trip. More specifically, Alejandra will be responsible for strengthening past community partnerships, as well as creating new ones. She will also strengthen and establish new internship opportunities for winter and summer break participants. 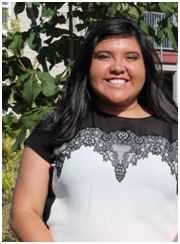 Alejandra is also part of the Chicana Latino Student Development Center, Student Support Services (SSS) Scholars Academy, and works at the Cal 1 Card office. Alejandra strives to one day return to her hometown and promote social change for her community. Pilar Manriquez is a first generation college student-parent pursuing a B.A. in Interdisciplinary Studies and a minor in Public Policy. She is from Helm, CA, a predominantly low-income and unincorporated town in Southwest Fresno County. Her experience growing up in the Central Valley has allowed her to experience the struggles of farmworking families and see firsthand the educational and social barriers that exist in rural communities. Her background has motivated her to take on a leading role in the Alternative Breaks program at UCB’s Public Service Center as the Training and Sustainability Director. Alternative Breaks is a social justice program that provides students with the opportunity to explore social justice issues through meaningful service, education, and reflection. As Director, she will guide her peers to develop a social justice and anti-oppression framework to collectively create a program that will focus on the economic and socio-political realities facing several communities. Pilar hopes to create social change in her community that will benefit future generations, including her two-year old daughter, Adilene.